August 24, 2011. A huge lightning storm with threats of tornadoes is moving across southern Ontario right now. 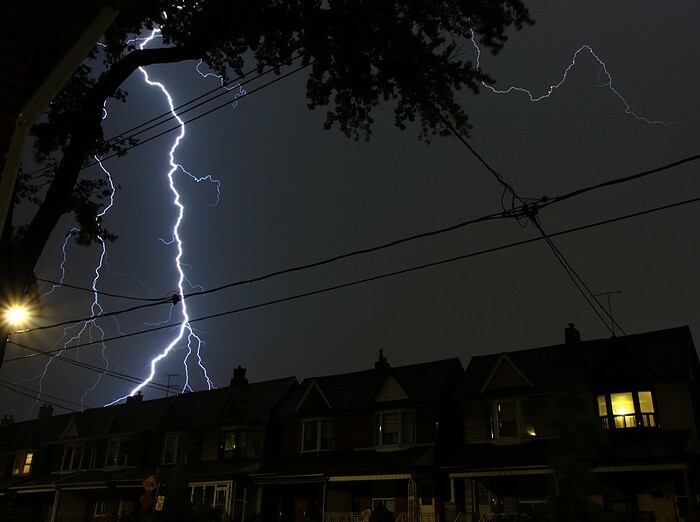 The rain didn't seem nearly as hard as I expected so far, but the lightning show here in Toronto was fantastic. Here's one of the photos I took from my front porch (Symington Ave., Junction Triangle, Toronto, facing north-east).